One of the critical steps when ordering a printed circuit board is specifying the copper weight. The default, should you choose not to specify a weight, is 1.2 oz of copper. This is because customers routinely specify a minimum 1 oz copper thickness and 1 mil of copper in plated through holes. To achieve this, we routinely plate up .5 oz base material with .7 oz of additional copper which provides the requested thickness in the hole. Often our PCB board quotes will reflect this specifying .5 + .7 oz Cu/sq ft where the .5 is the base copper and the 0.7 is the plated copper. Finished copper thickness on the printed circuit board is an important aspect of PCB design. The thickness along with the width of the trace is the determining factor in the amount of current (amps) the circuit can carry. The thickness and again the width of the copper trace is also used in impedance (ohms) calculations of high speed and RF circuitry. The process of manufacturing PCBs starts with a dielectric material with copper on both sides. This base copper is described by its weight evenly spread over one square foot. Typically laminates are provided in weights from .5 oz to 3 oz (per sq ft). The PCB fabricator then “plates up” from the base weight to the final, customer specified weight. For example, a printed circuit board specifying 5 oz of finished copper starts with a 3 oz base copper laminate which is then plated up to 5 oz. The process of plating an additional 2 oz of copper onto a PCB board can be time consuming which will impact your price. The amount of Line Reduction also depends on the Base copper. More base copper equates to higher line reduction. 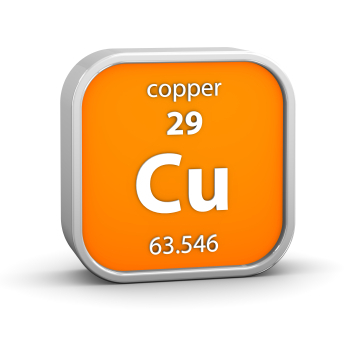 When quoting and ordering your PCB board, it is important to specify the copper weight you require and to understand how this specification impacts the manufacturability of PCB boards. Copyright 2019 | Manufactured with by Omni Circuit Boards Ltd.